Developed in the 1880s by Midwesterners looking for a sunny winter getaway, Hollywood was a small housing development outside still-small Los Angeles. But everything changed in the early 1900s when filmmakers from New York flocked to the area, where they could make movies without having to pay Thomas Edison's patent fee. It didn't hurt that the weather was perfect, too. 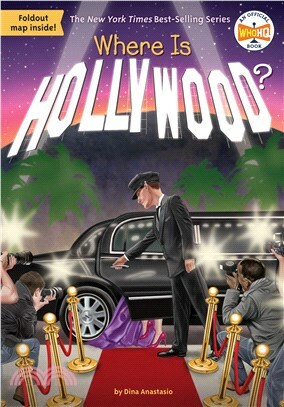 Readers will take a journey from the Golden Age of Hollywood to the present-day film industry, learning all about what turned lush farmland into Tinseltown. Dina Anastasio is the author of Where Is the Eiffel Tower?, Who Was Steve Irwin?, and many other books.